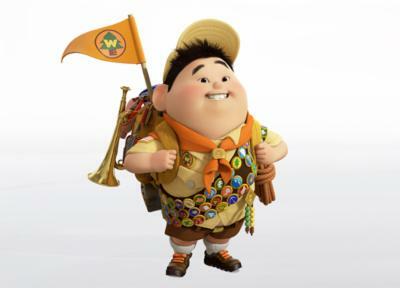 The first thing I learned, as a scout, is how to be as annoying as possible in the outdoors. This is something that I outgrew, as I become older. The second thing that I learned was that sleeping bags don’t really keep you warm at the temperature as advertised. Flash forward 20 years. I was a sales person at an outdoor recreation store. When it came to sleeping bags, temperature accuracy was the number one concern for buyers. Getting the wrong sleeping bag is more often the fault of one buying for budget and not for need. Before you buy a sleeping bag, here are the things you should know about the sleeping bag industry. 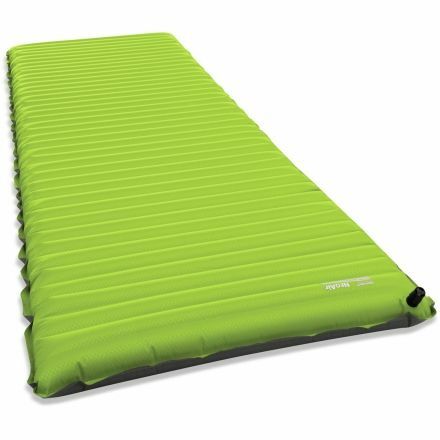 One of the major reasons why sleeping bags do not keep people warm, is a poor ground pad. A warm sleeping bag will lose its ability to keep you warm if you don’t have a proper layer of insulation between your bag and the ground. This is so important that survival guides even suggest finding an insulating layer between you and the ground, before finding shelter or water. There are no US Government regulations for temperature ratings. Without regulations,between a 0 degree survival rating and a 0 degree comfort rating is about 40 degrees. It is important to do your research because some companies will rate for comfort and others for survival. This is also subject to the individual person, a warm sleeper will always be warmer than a colder sleeper in the same sleeping bag. There is no standard for testing. Every company can choose its own standards for testing their sleeping bags. This means one company may use process A to test and another company may use process B. This may not be a big deal but if process B involves a dummy with sensors and process A uses a sampling of 100 people testing the bag in similar conditions, one is probably more accurate. If you are someone that does outdoor activity all year round, you won’t find one bag that will do it all. Either you will have to buy a couple of sleeping bags or you will have to temper your activity. To get the sleeping bag you need, there is one question you must ask yourself. What will I be using the bag for most of the time? I like to refer to this rule as the 80/20 rule. Unless you want to buy several sleeping bags, you probably won’t find one bag to do it all. Buy your bag for what you do most of the time. If you backpack in high alpine conditions 80% of the time, you will need a very light weight compressible bag. If you are car- camping in the desert during summer, you could probably use a sheet. Do not buy a bag for just 20% of the time. If you buy a winter bag because of the one or two times a year you go winter camping, you are going to be miserable the other 8 times you go summer camping. It would be better to rent a sleeping bag for those two times. For backpacking: You will want to choose a sleeping bag that is light weight and compresses to a very small size. The sleeping bag should be under 3 pounds and should compress to be around the volume of a loaf of bread at the largest. For car- camping: You can choose a heavy bag that is thick. Size is not important if you don’t have to carry it. For river trips: I would choose something made out of a high quality synthetic. Size usually isn’t much of a concern if you have designated gear boats. With your preferred activity in mind, you should eliminate some options using the following points: type of insulation, and budget. The types of insulation, can be broken down into two types: synthetic and down. Each one has its strengths and weaknesses, however they are not created equal. Down is superior to synthetic. 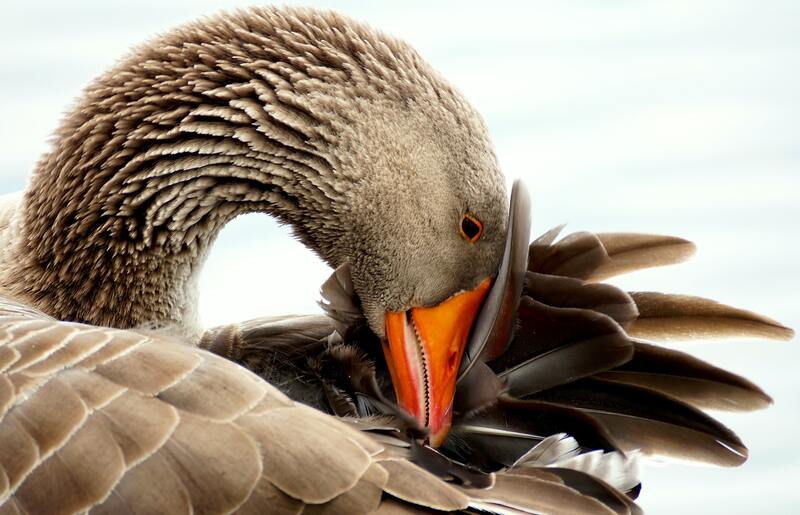 Down insulation comes from geese. It is measured in terms of 500, 600, 800 etc. The number refers to how much space one ounce of down will occupy. For instance, one ounce of 500 down, will occupy 500 cubic inches of space. The higher the number, the better the down, and the less amount of down that has to be used. 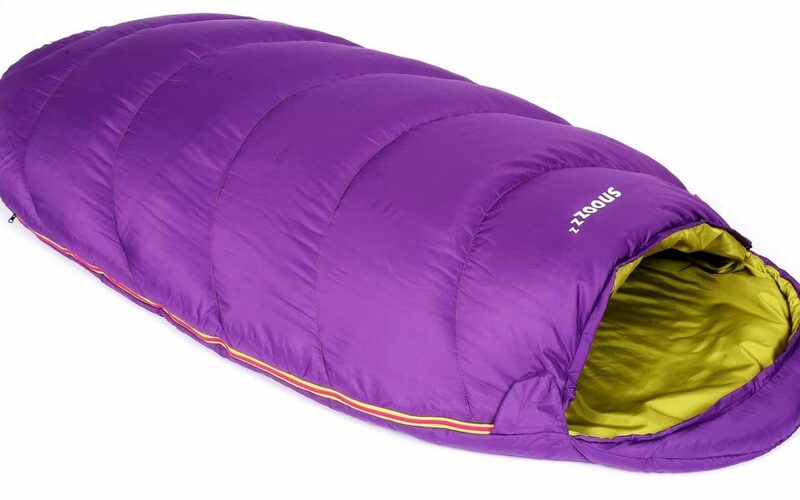 A 0 degree sleeping bag with 500 down and a 0 degree sleeping bag with 800 down are equally warm, but the 800 down bag requires less down. This means that it will weigh less and compress to a smaller size. Many companies also label down by average and by minimum. Some may say a 500 down bag and mean that the average of all down in the bag is 500, but it could have some that is 100 and some that is 800. Other companies my list it as 500 down, and mean that every piece of down is at least 500. The average may be 550 or 525. If taken care of properly, it will last much longer than synthetic. Most people will have to buy several synthetic bags compared to the lifetime of one down bag. A 0 degree down bag is going to be half the weight of a synthetic bag. For backpacking trips, a down bag is better for the back. A 0 down bag is going to be half the size of a comparable synthetic one. If you want a smaller backpack or the option to travel light, choose a down bag. Down bags are far more expensive than their synthetic counterparts. The initial cost can be prohibitive. This cost can be recouped over a long period of time, because you won’t have to replace the down bag as often. Down is nature’s way to insulate two water loving animals. Ducks and geese can warm-up when they are in the water. However, this ability does not translate to sleeping bags. Somewhere in between the fowl and the sleeping bag, down loses its ability to keep you warm when it is wet. If your down bag gets wet, you will have a miserable time. You can buy down- filled bags with a waterproof shell, but you are going to pay for it later. Synthetic insulation is man’s attempt to mimic down. Every time a new type of synthetic insulation is created, the marketing pitch will include a statement that says “Just like down”. This isn’t the case. 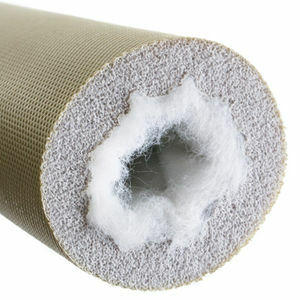 There are some great types of synthetic insulation but they still aren’t the same quality as down. They can range anywhere from straight polyester fibers with no hollow core, to triangle shaped hollow cores to honeycombed shaped hollow cores. Generally the more hollow space inside the fiber, the more space there is to trap heat. Synthetic bags are significantly cheaper than down bags. Its possible to pick up very cheap synthetic bags for around $29.99. However, these are usually poor quality, only last for a few years, are bulky, heavy, and the temperature rating is inaccurate. Water doesn’t make them useless. Synthetic bags do not lose their ability to keep you warm when they get wet. They will not be as effective but they won’t be completely useless. If the bottom of your tent leaks or your rain cover leaks, they will still provide some warmth. They are heavier, bulkier and they don’t last as long as down. One of the problems,when buying sleeping bags, is that in many of the shops, a lot of the sales people don’t know the ‘ ins and outs’ of the sleeping bags or they work on commission and just want to make a sale. Before you buy a sleeping bag, make sure you know what activity you will be using it for and how often. Establish your need, figure out the type of bag that you have to get, and then shop around, keeping in those parameters. ‘ It is more expensive to buy two bags because you bought the wrong one the first time, than it is to buy the right bag the first time. If you happen to buy the wrong bag, I have a great recommendation where you can sell it.